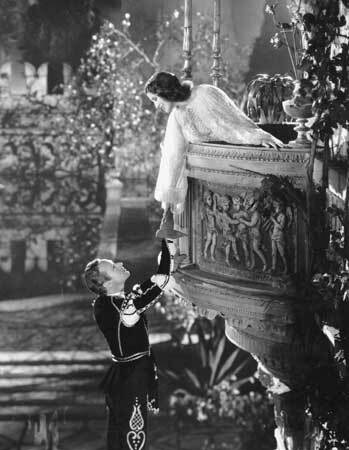 Rumor has it that the ABC network has committed to producing a new period drama series, a retelling of Romeo & Juliet set in Renaissance Verona. Catherine Hardwicke, who directed the movie adaptation of another popular story about star-crossed lovers belonging to clans that are at odds with each other, Twilight, is in talks to direct the potential Romeo & Juliet. As an educator, I’m not sure how to feel about this one. On the one hand, this seems an amazing opportunity to introduce Shakespeare to a new generation of thirteen year-olds hungry for another teenage love story to get hooked into. Sure the story is centuries old and most everyone knows how it ends, but I can imagine my thirteen year old self posting vigil by the television set weekly to watch [name your own hearthrob’s] doomed romance. On the other hand, can you adapt R&J into a television series and still call it Shakespeare? It is dubious that the screenwriters for this version will stick to verse or any likeness of the original text. Still, could the t.v. show be used to pique student interest in learning more about Shakespeare in Will’s words? Adaptations of Shakespeare in High School have been popular for quite awhile but is there any track record for these adaptations actually bringing students closer to Shakespeare? Teachers from around the country descended upon Disney’s Coronado Springs Resort in Orlando, Florida, last weekend to attend the National Council of Teachers of English annual convention. In years past, the Folger Shakespeare Library conducted a one-day Shakespeare Set Free workshop on the Monday after the convention. This year our goal was to share our performance-based teaching methods with more participants by breaking our workshop into five acts over the weekend. As a result, we reached over 500 participants who will be able to incorporate the new techniques in their classrooms this week! If you missed the convention, here is a brief overview. Act I started with Susan Biondo-Hench and Kevin Costa engaging the participants in on-your-feet pre-reading strategies and close reading activities that will instantly engage students. Their workshop ended with well over 100 people standing in a circle enacting lines from Romeo and Juliet! Act II continued with Julia Perlowski, Erica Smith, and Amy Ulen presenting performance-based activities and the research that supports this style of teaching. Act III expanded our notion of performance when Scott O’Neil, Chris Shamburg, and Rebecca Hranj demonstrated the use of Web 2.0 tools that assist students in a close reading of Shakespeare’s texts. 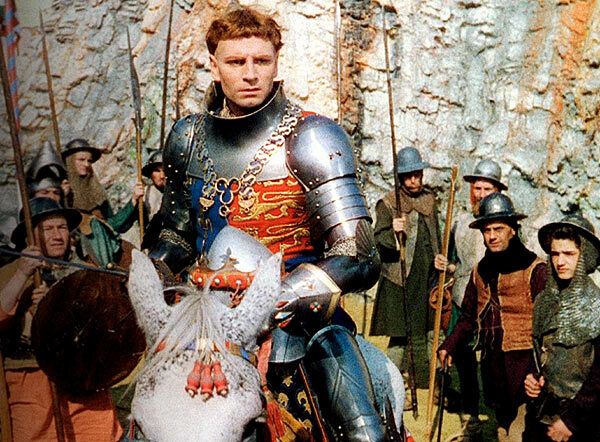 enhances the study of Shakespeare; Act IV focused on using video and film in an active way to connect students to Shakespeare’s plays. In Act V, Dana Huff summarized the entire Shakespeare Set Free workshop and shared ways to create meaningful and authentic assessments for your Shakespeare unit. 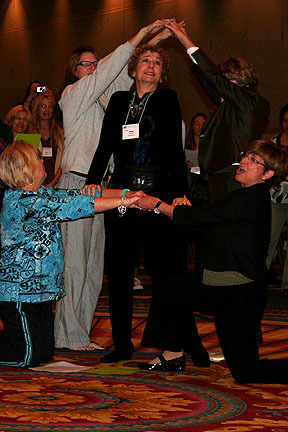 Carol Kelly gave tips on creating a Shakespeare Festival—one of the most authentic assessments of all! The Shakespeare Set Free workshops were a huge success, but we didn’t want to end it there. On Sunday morning, Peggy O’Brien, Rick Vanderwall, and Glenda Funk presented a Teaching Teachers to Teach Shakespeare workshop to 30 English methods teachers. They began an important conversation, and Folger Education looks forward to continuing the discussion. On behalf of all the presenters, I thank those participants who attended our workshops and encourage those of you who weren’t there to host a Shakespeare Set Free workshop in your own school/district. We would love to share our performance-based Shakespeare methods with you. Amy Ulen teaches at Tumwater High School in Tumwater, WA. She also runs the website Shakespeare High (www.shakespearehigh.com). Amy attended the Teaching Shakespeare Institute in 1996. In today’s digital environment some people are compelled to consume, create, and share remixed videos and music while others live happily ignoring remix altogether. Whatever your interest, if you like Shakespeare, you’re a fan of remix. Shakespeare was a master of it. 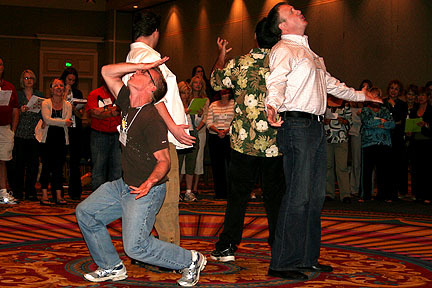 As teachers there are some creative, worthwhile, and easy-to-do methods to remix Shakespeare with students–methods that give them a meaningful experience with Shakespeare’s language and capture the spirit of today’s remix practices. Remixing is a popular activity that people do outside of schools. Making music remixes of popular songs, video tributes, political satire, and parody are some ways that people use remix to creatively share their passions (see remix examples). In a broad but big way, digital remix correlates to how culture, art, and cognition get done–people synthesizing the material of others into original arrangements. Remix was Shakespeare’s craft. Consider that few of Shakespeare’s plays are original stories–Plutarch, Holinshed, and existing poems and dramas served as the source material for most of his works. He often lifted stories and passages from news accounts, books, and folklore and incorporated them into his plays. 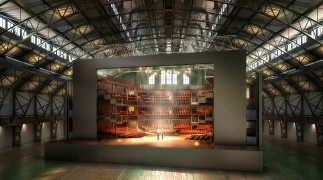 Shakespeare’s continuing appeal is because of the way he did it–through the skillful use of language and performance. 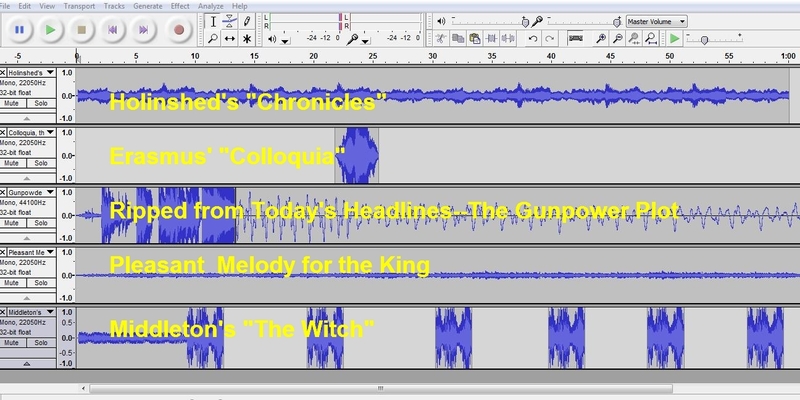 Remix can characterize the history of Shakespearean production: the Nahum Tate King Lear with the happy ending; the Luhrmann Romeo and Juliet that integrates Southern California hip hop culture; and foreign adaptations such as Kurosawa’s Throne of Blood which mixes Macbeth with feudal Japan. Remix is authentic Shakespeare; the way that people make his work outside of schools. 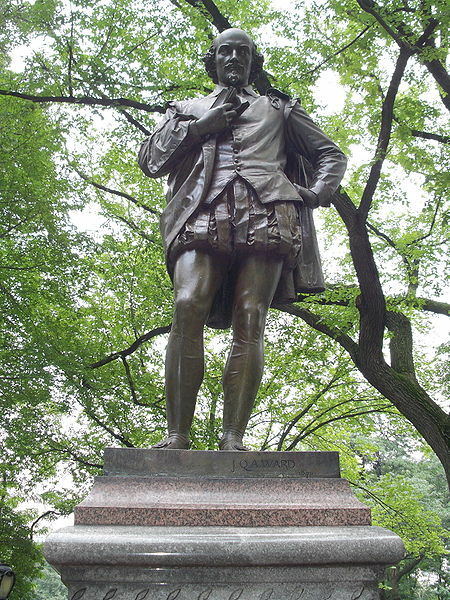 Text–students mix a passage of Shakespeare with a modern song or poem; see Remixing Shakespeare Soliloquy Activity, or adapt Shakespeare to this activity on Remix Poetry. 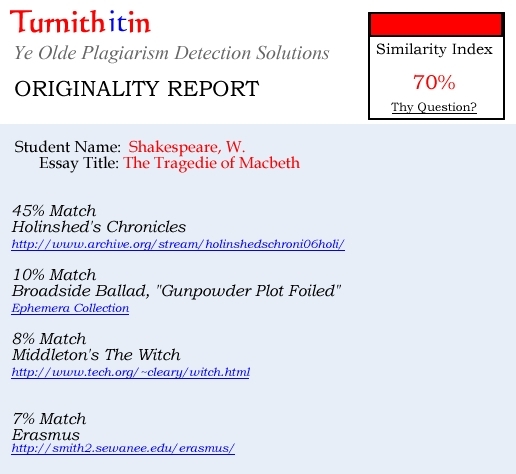 Video–students rearrange lines and scenes into a coming attraction, mix student performance with a commercial version, or edit a scene from lines said from different productions; see this growing playlist of Shakespeare video remix on YouTube, with a focus on student work. With the ease of remix today, technology has finally caught up with the Bard. Christoper Shamburg is an Associate Professor of Educational Technology at New Jersey City University. He is the author of Student–Powered Podcasting: Teaching for 21st Century Literacy (2009) and National Educational Technology Standards: Units for the English Language Arts (2008). Christopher will be presenting on this topic for the Folger with Micheael LoMonico, Rebecca Hranj, and Scott O’Niel, at NCTE on November 19th C.43 (12:30 pm to 1:45 pm) “Shakespeare Set Free–Act 3: How Internet-based Web 2.0 Tools Can Get Your Students Closer to Shakespeare’s Texts” Here’s a link to his presentation. We are in full swing at Folger Education. 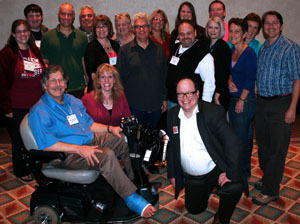 Later this week and part of next we’ll be in Orlando, Florida at the NCTE Convention. If you’re planning to attend, please stop by our booth in the exhibition hall and pick up one of our new posters for your classroom. We would be happy to talk with you about our professional development programs, including our new technology workshop offering and one play/one day workshops. And don’t forget to come to our series of five presentations on Friday and Saturday, which replaces our full-day Shakespeare Set Free workshop at the convention. You don’t have to attend all of the sessions; you can pick and choose the one(s) that are most likely to fit your immediate classroom needs. Check out the NCTE program for details, or our most recent issue of BardNotes. And while you are checking out our resources, why not write a check in support of Folger Education as part of your end of year giving plan? One quote we hear from students over and over again is “Shakespeare doesn’t relate to my life.” In a sense, they could be right: Shakespeare wrote his plays 400 years ago, often about subject matter even older than that! However, the topics he explored inside of the action are what keep us coming back. Quoted out of context, Shakespeare’s words could be used to argue for or against many topics we are still debating today. For example, many (if not all) of the history plays involve war – not only the glories of it, but also the pitfalls. 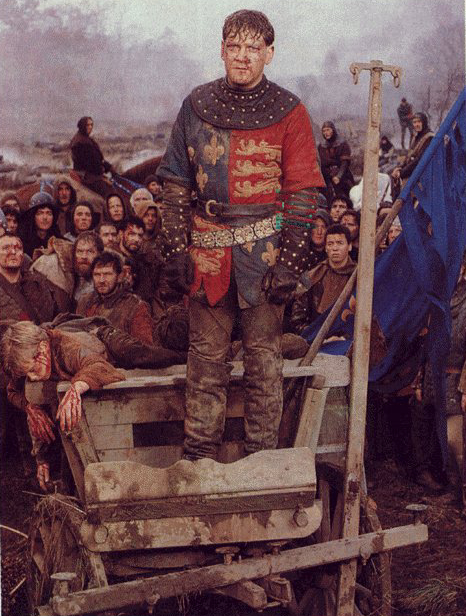 This duality is expressed visually in Kenneth Branagh’s 1989 film of Henry V. Laurence Olivier’s film version of the same play was meant to inspire young soldiers. Our world has known much of war since Shakespeare’s day, and with on-the-scene news reports, we are more aware than ever of what war can do to a country and its people. HERE is a link to the Shakespeare Searched entries for the term “War,” and HERE for “Peace.” Tell your class that you are a king who is having trouble deciding whether or not to go to war with another country. Divide the class into two groups – one for and one against war – and ask them to debate using quotes from Shakespeare to convince you to either go to war, or to remain a peaceful state. Let them use one class period to prepare, and another to hold the debate. When the debate is over, discuss which of the quotes used were most convincing for both sides, and try to find the context for them. They will find arguments for both sides under each word’s search. Discuss, if there’s time, how context affects the argument of the quote. What other topics might students debate with Shakespeare? What role can poetry play in the everyday life? What role can poetry play with young people? Poetry lives and breathes at the Folger Shakespeare Library. On Monday, November 8th, best-selling Russian poet Vera Pavlova will read her work in Russian while her husband and translator Steven Seymour will read the English translations alongside her. In a time when we condense our lives into sound bytes and nuggets for Twitter feed and Facebook posts, her short poems fit right in. Yet for all their clarity, Pavlova’s poems weave in elegance and discipline, making each an abrupt pleasure, down to their numeric titles. This day and I are even. But Vera Pavlova’s work comes in context of the many women writers who precede her. When women first began to write, certain subjects were taboo like Pavlova’s more sensual and sexual poems. The clarity in Pavlova’s work could only come after centuries of women broke literary ground before her. In Shakespeare’s Sisters, a ten-week seminar course here at the Folger which begins in January of 2011, we study how female writers have found their voice and identities as writers over time. From Queen Elizabeth I’s sly poems about court, to Anne Bradstreet’s hybrid of a Puritan consciousness and a dawning American one to Sharon Olds’ proud and unabashed explorations of femininity, each poet stands on the shoulders of the other. By the end of the course, students are well-grounded in this timeline of women writers, how they have reclaimed what is feminine and what and who a woman is as opposed to how they have been idolized and characterized by the early male sonneteers. The seminar isn’t all reading- students respond each week with response papers and poems of their own. It is always exciting to see the student’s work mature over 10 weeks, whether they are responding to Petrarch’s sonnets or experimenting with the lyricism of Rita Dove or Elizabeth Bishop, the students recognize that poetry is flexible, that it breathes and they too learn to breathe with it. Teri is the Folger Shakespeare Library’s Poetry and Lectures Coordinator. With Gigi Bradford, she heads the student seminar: Shakespeare’s Sisters, as well as coordinating poets both local and international to share their work at the Folger. She earned her MFA in Creative Writing from American University, and her MA in International Affairs and African Studies from Ohio University. More information about – and applications for – Shakespeare’s Sisters are available at http://www.folger.edu/shakespearesisters.